I’m a total sucker for cheesy, classic traditions to do with kids. 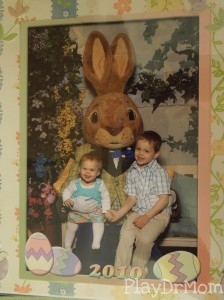 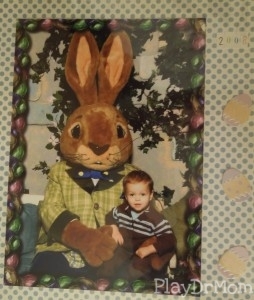 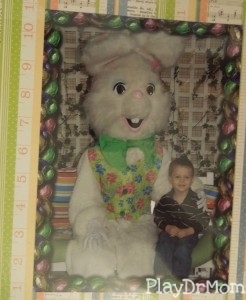 Ever since my first child was old enough (he was only a couple weeks old for his first Easter), we’ve been going to the mall to sit with the Easter Bunny and get a picture taken. 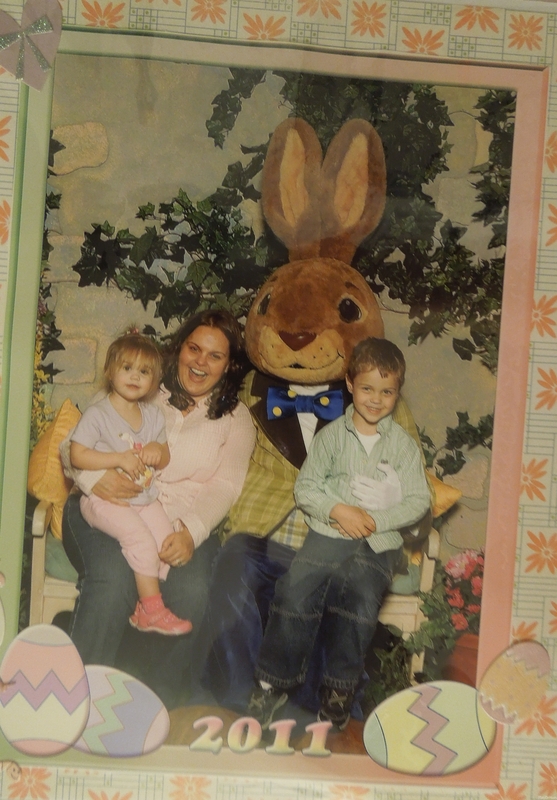 After just a couple of years, I realized I would be collecting quite a few “pictures with the Easter Bunny” (since I fully intend to be taking them to do this for the rest of our lives!). At first I would put the photos out around Easter in frames, but then I came up with a better plan! 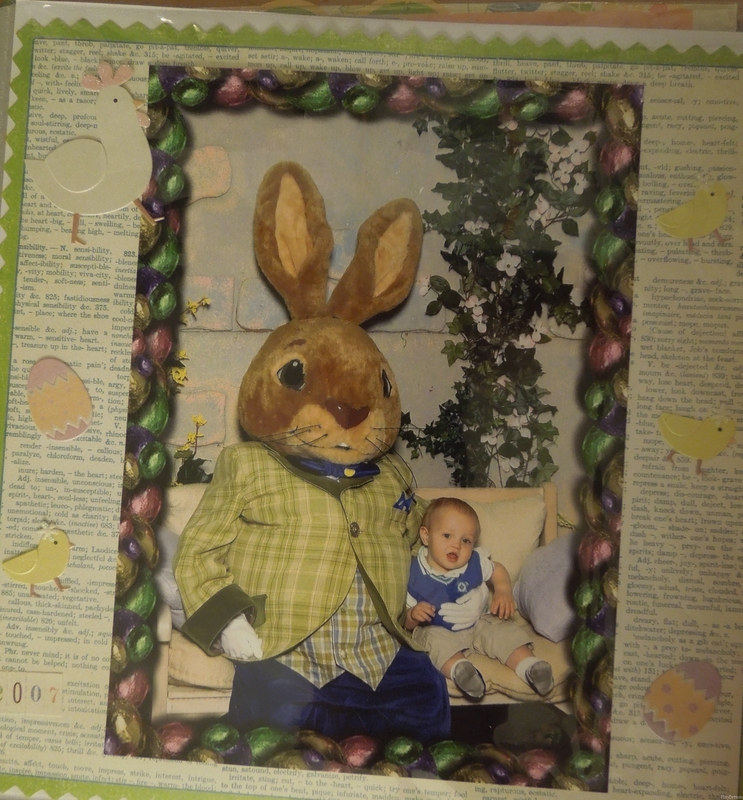 I started a scrapbook just for those photos. 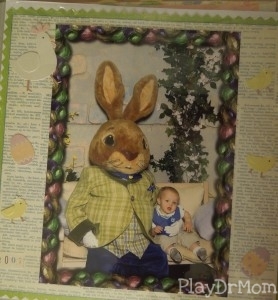 I used to be quite the scrapbooker … before I had kids. 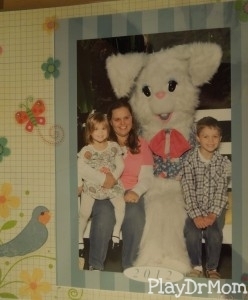 And, now, in the age of digital photography, iPhoto, Facebook, and blogging I have found alternative ways to organize, share, and display the (insane amount of) pictures I take. 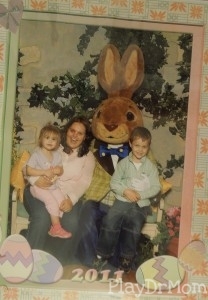 But it is really nice to have one, easily manageable/do-able “hard-copy” scrapbook dedicated to a yearly moment in time. 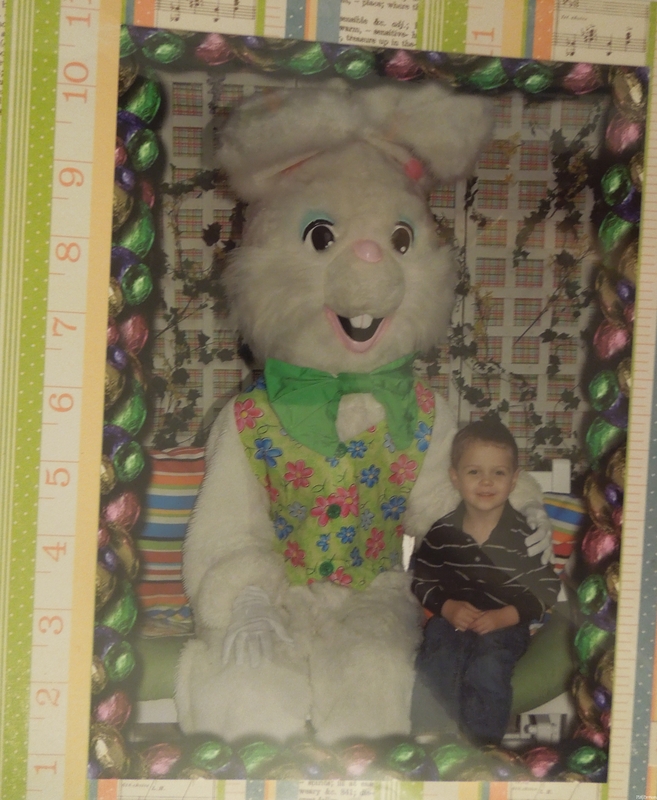 The photos I took of the photos don’t really do the scrapbook justice … but that’s not really the point. 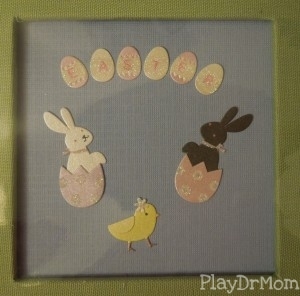 The point is it’s a nice way to create a keepsake … and be amazed at how quickly kids grow!